An always popular trend at weddings is candles. Candles, candles, candles and in every shape, size and colour. They add such warmth and romance to a wedding. 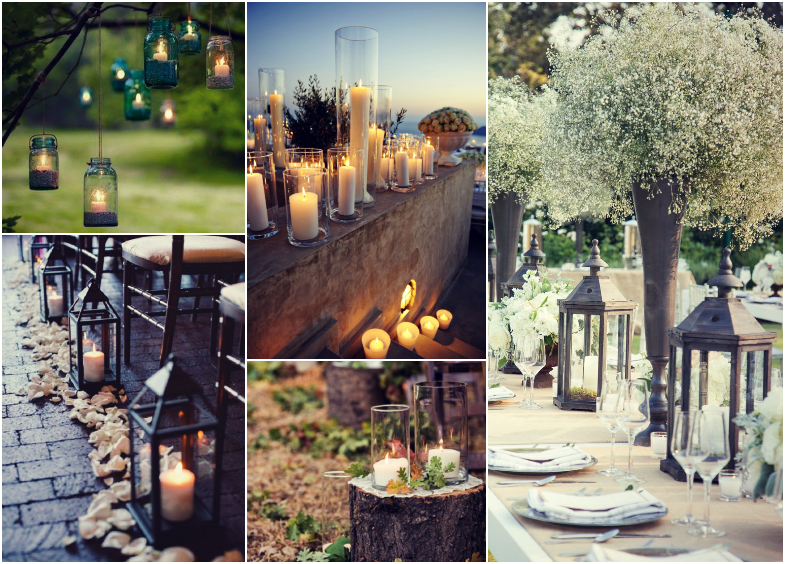 You can do so many different things with candles for your wedding. You can use candles as the main focal point in your centerpiece(s) or just as accents on the tables. You can create a look that unique and personal and with candles, definitely affordable. 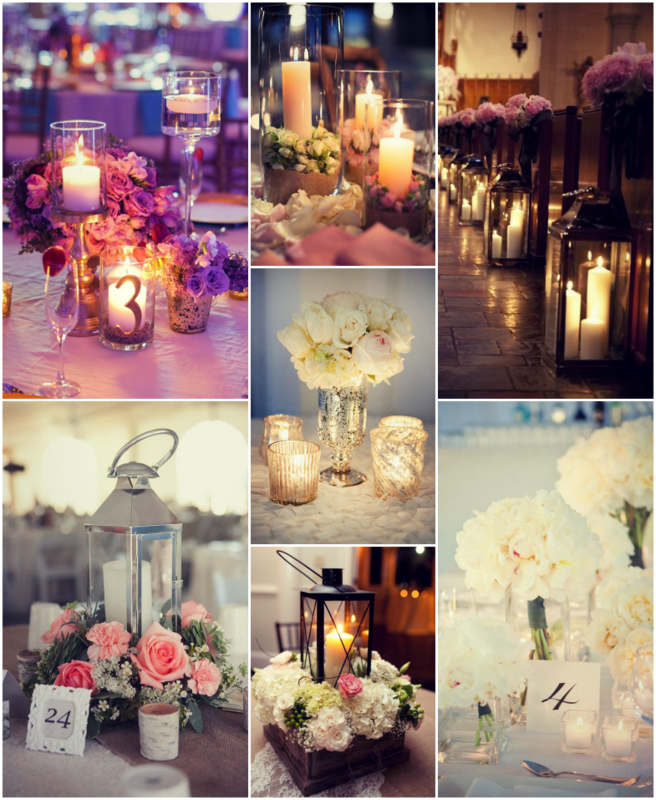 Here’s some of my best tips and tricks should you decide to use candles in your wedding. Prior to your big day, store your candles in their boxes, and keep them away from direct sunlight so that their colour won’t fade. Store them at room temperature. Do not refrigerate or freeze them, as this will cause the wax to crack. Light your candles prior to the wedding this will help them re-light easier and faster during the ceremony and/or reception. Just light the candle wick briefly and then blow it out. Check the areas where you’re candles will be you don’t want them extinguished because of draughts or overhead fans. Use your candles as a light source; dimming the room lights and lighting the candles will create a romantic feel. If you are planning an outdoor wedding use glass hurricanes, lanterns or cylinders to help keep your candles lit on a windy day. People tend to go for unscented candles at a wedding but don’t rule out scented ones. Go for fruity or food scented candles. Something with a subtle scent like vanilla would be perfect. Not all of your table centrepieces need to be exactly the same. Use candles of different heights to make a statement; a mixed arrangement of pillar candles, of all different sizes look spectacular. You could even have bowls or vases with floating candles, they look quite elegant.